No doubt about it, food is going to be a big draw on P&O’s new Britannia, launching next spring. We’ve already been introduced to the Food Heroes, the appetising line-up of celebrity chefs who will be masterminding menus in some of the ship’s restaurants. Now the company is whetting our appetites by revealing some tantalising details of what will be on offer, and they are talking about the ‘Three Cs’ – cheese, charcuterie, and chocolate. The Market Cafe featuring self-styled ‘Cake Boy’ Eric Lanlard will be at the heart of Britannia’s atrium, dishing out savoury bites and ice cream with grown-up flavours such as mojito and Campari & orange, as well as some of Lanlard’s exquisite cakes and pastries. There will be smoked venison and other air-dried meats from some of Britain’s finest artisan producers, and Lanlard is planning a special Champagne afternoon tea with not a scone in sight. Clotted cream and strawberry jam will be replaced by Persian candyfloss, lychee pearls, and a spray of Earl Grey perfume. The British cheeses showcased in the cafe will also be available for tasting in Olly Smith’s Glass House, which he will stock 40 new wines that he is currently scouring the world for. He has already tracked down some interesting labels from Japan, Greece and Croatia to pair with a menu of dishes which will include sea bass ceviche, crab sliders, Wagyu beefburgers and lobster buns. Brodie’s bar will feature more than 70 ales, beers and ciders and in Blue Bar there will be an extra tonic in the form of a gin-tasting menu. 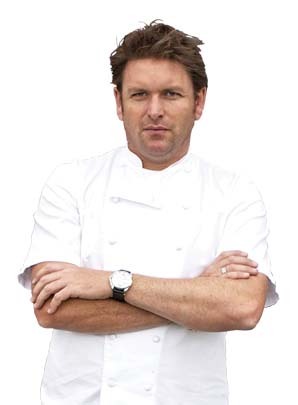 James Martin is holding auditions for a manager to look after his Cookery School on Britannia and is persuading some of the visiting chefs on his Saturday Kitchen TV show to spend time on Britannia as well. Marketing director Christopher Edgington, introducing the latest developments during a dinner at Hotel Chocolat’s Rabot 1745 restaurant in Borough Market, London, said: “Traditionally, people thought cruise ship food was all about quantity. On Britannia and on the rest of our fleet it will be all about quality.